Riviera Resort, Palm Springs, 1600 N Indian Canyon Dr, Palm Springs, CA 92262, Royal Room 1. Park in Ballroom parking spaces for free parking. See more about parking under registration details. PSWG interactive Writers’ Workshops offer paid attendees the opportunity to learn and participate in a friendly learning environment, network with an industry professional and meet fellow writers. 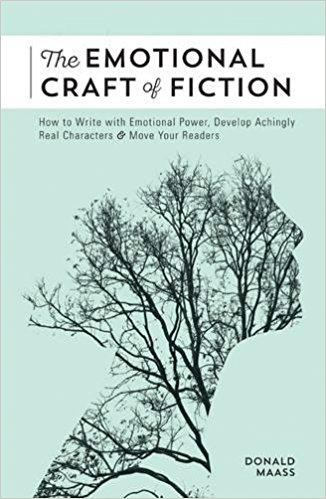 THE EMOTIONAL CRAFT OF FICTION How to Tell the Story Beneath the Surface - The emotional effect of fiction on readers is a craft. Based on psychological research and study of what makes novels emotionally gripping, this intensive workshop takes participants beyond showing or telling to create an emotional journey for readers—one unseen but nevertheless deeply felt and ultimately unforgettable. Readers’ experience has little to do with what characters feel. Emotional surprise and subtlety even in high-action scenes. Using small details to build big emotions in readers. What’s happening when “nothing is happening”. How to pace a novel’s unseen emotional plot. Unnoticed dimensions of great openings. It’s not about forcing out plot but posing the right questions. Plot considered as emotional opportunities. The inner scene and how to shape it. It isn’t the place itself but what we experience there. Arc, step-by-step changes, cascading change, turns toward virtue. Finding unused story potential by having protagonist interview author. This is an intensive, hands-on workshop for advanced fiction writers. Participants should bring a WIP and writing materials. Seating limited - more than half the seats have been sold! 72-hour cancellation policy less credit card fees. Park in Ballroom parking spaces for free parking. Approach the Riviera Resort going towards the mountains on Vista Chino and turn right into the parking area designated BALLROOM or CONVENTION before you get to Indian Canyon Drive. Turn left upon entering and Parking is free in that area. Lunch is included in workshop fee.